Notice immediate results concentrating at work. Very focused all day. 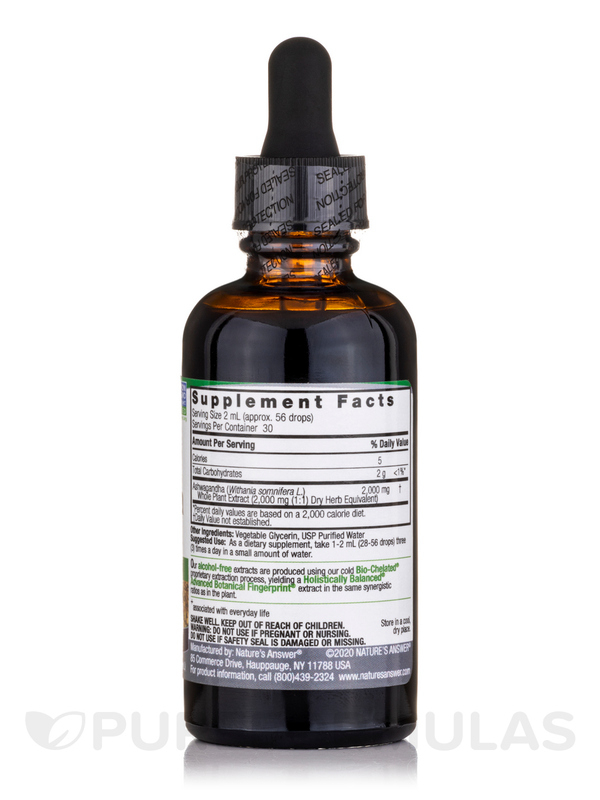 Ashwagandha Root Extract by Nature's Answer. Was recommended to take Ashwagandha Root Extract by Nature's Answer by my endocrinologist for my thyroid for Hashimotos Disease. So far I am liking it. I take it in the morning for extra energy. It is working well and I notice a difference. 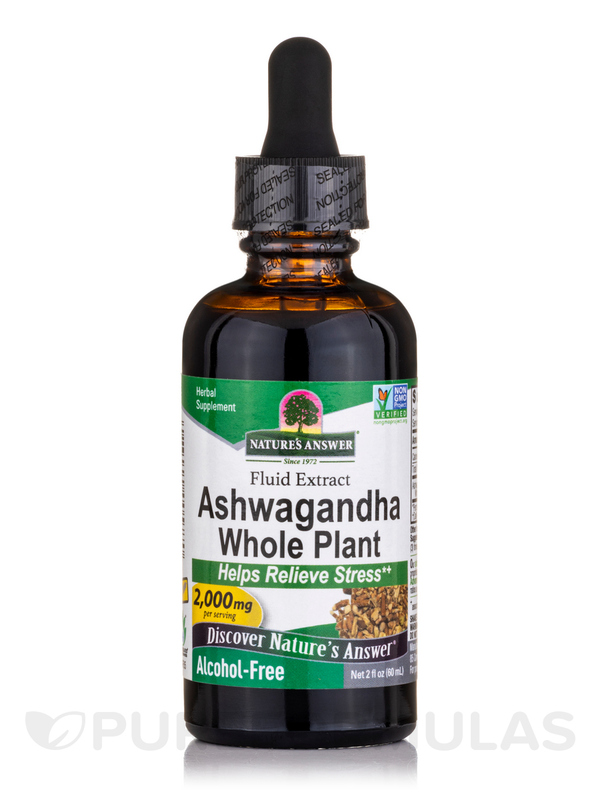 I've been trying Ashwagandha Root Extract by Nature's Answer for over a month now (recommended by my doctor) and have not received any relief as of yet. Nature's Answer alcohol-free extracts are produced using alcohol‚ water and natural extractants. All alcohol and extractants are then removed through our cold Bio-Chelated proprietary extraction process‚ yielding a Holistically Balanced standardized extract. Liquid extracts are absorbed faster than tablets or capsules. Holistically Balanced guarantees that the constituents of the extract are in the same ratios as in the plant. Unconditionally guaranteed. This made me feel nauseous and sick to my stomach when I took it. Sad b/c it's the only liquid one w/o alcohol. I've taken Ashwaganda w/ other brands and never felt this sick b4. 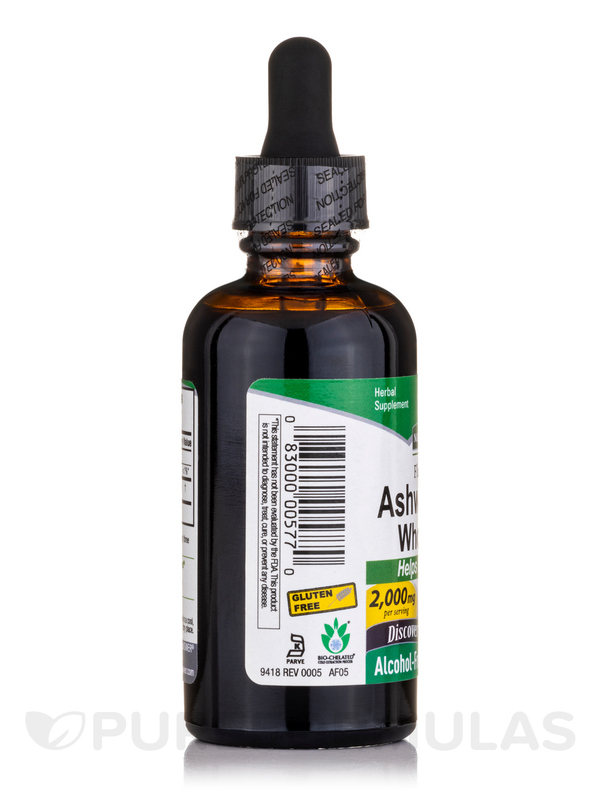 I like Ashwagadha Root Extract by Nature's Answer, but this herb gave me a headache minutes after taking it. I tend to be sensitive to many herbs and supplements. I am disappointed that I had a bad reaction to this, as it is supposed to have many healing properties. Trusted brand, alcohol-free. Supposed to be a very healing herb. My body didn't like it. It seems to work well! Ashwagandha Root Extract by Natures Answer is a good noon picker upper. It gives me a left afer lunch.